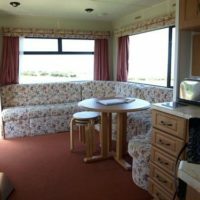 Pembrokeshire Static Caravan Holiday at Shortlands Farm: a clean and modern cosy caravan ideal for families with stunning sea views. 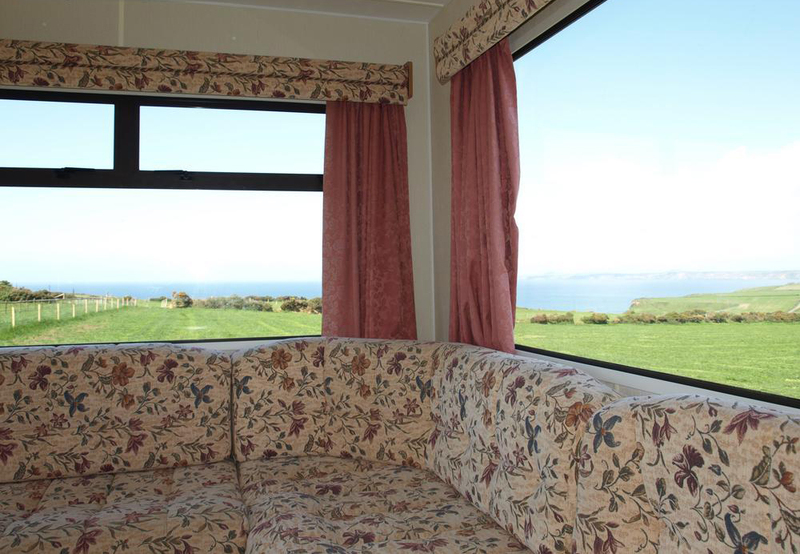 The static holiday caravan is located in a peaceful spot on Shortlands Farm and it enjoys spectacular views over St Brides Bay. 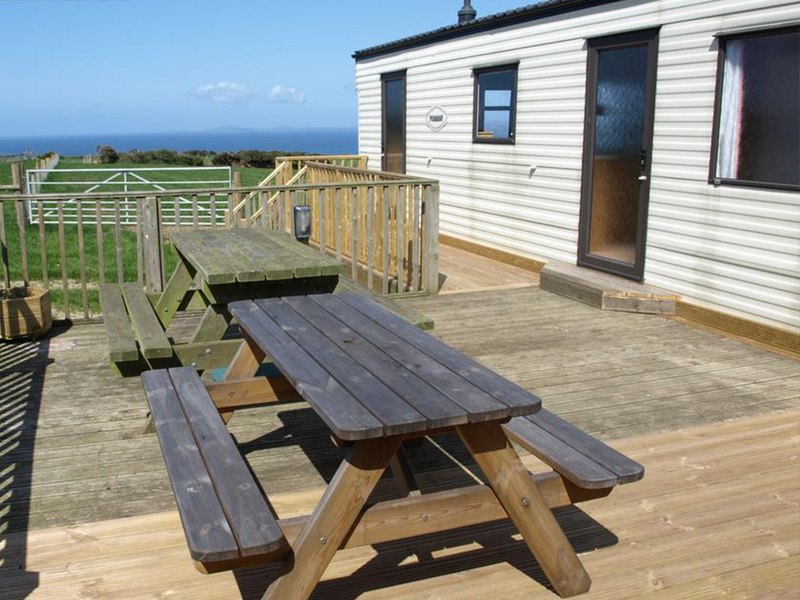 A generous timber deck on the south side of the caravan, with garden furniture, allows you to enjoy an alfresco meal and watch the sun setting over the bay. 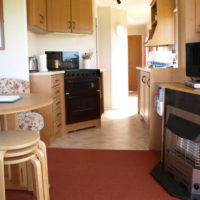 The caravan has three bedrooms, a shower room, and a spacious living/dining/kitchen area and is the perfect option for families who want to visit the beautiful Pembrokeshire Coast National Park with its many Blue Flag beaches. 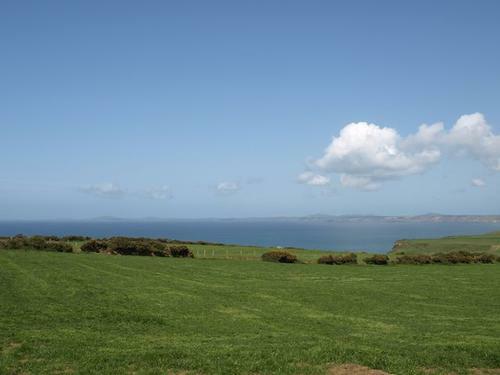 Shortlands Farm is ideally positioned for exploring the county of Pembrokeshire. 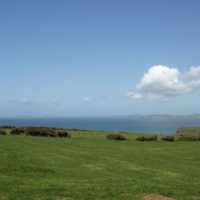 The coast path is a stone’s throw from the farm and the local bus runs along the small coast road north to St Davids and south to Milford Haven. 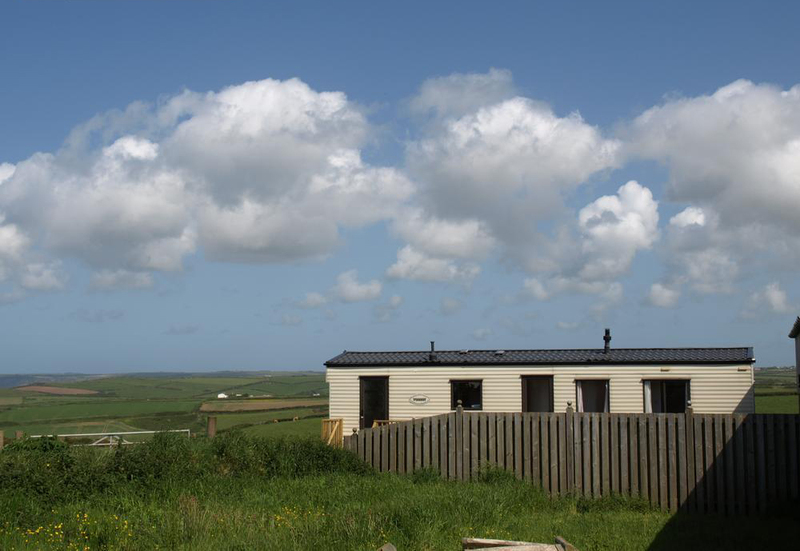 The safe sandy beach at Druidston Haven is a great place for children and is only a 10 minute walk from the caravan, so it’s even possible to spend a week at Shortlands Farm without having to get into a car. 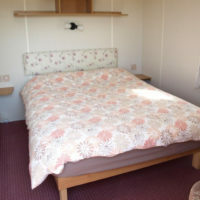 3 bedrooms: one double bedroom with electric heater, and two twin bedroom. All beds are 6ft long. 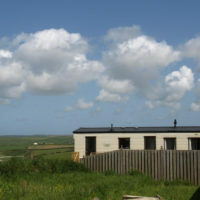 Single level property. 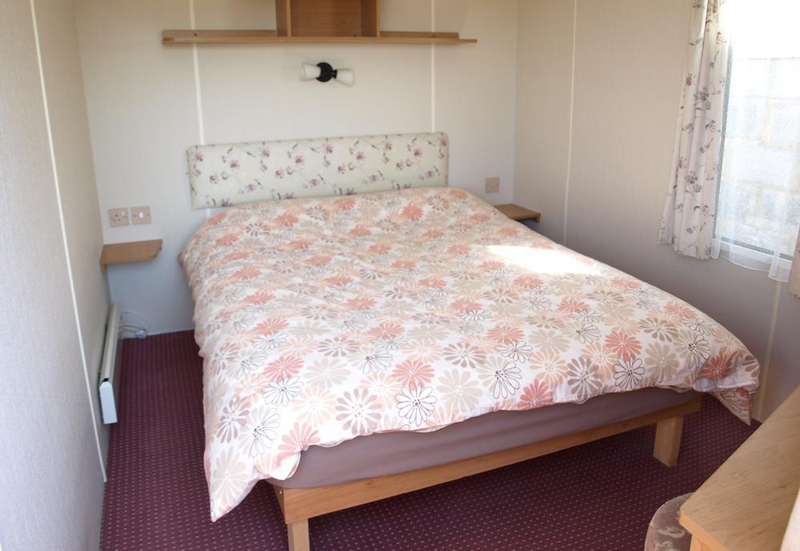 No stairs but steps up to decking on which the caravan sits. 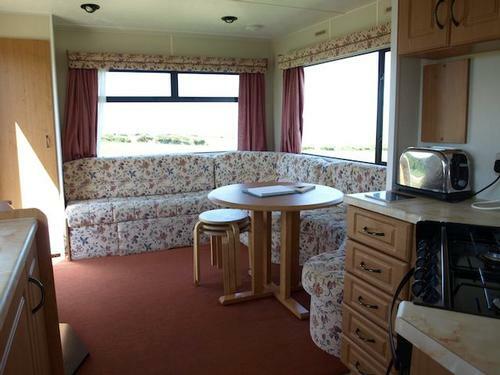 Comfortable living/dining space with built-in sofas and dining table for 6 people, TV and DVD player. 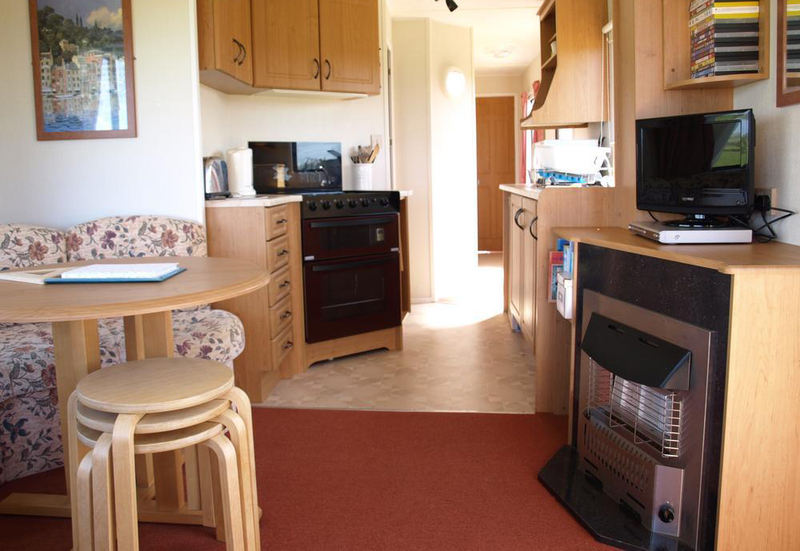 Well equipped kitchen with fridge with small freezer compartment, kettle, toaster, gas hob/oven and microwave. All bedding provided. Please bring towels. Complimentary use of highchair and travel cot. 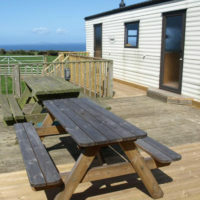 Private decked area and garden furniture overlooking the sea. Parking for 2 cars by the front door. Changeover day is Saturday. 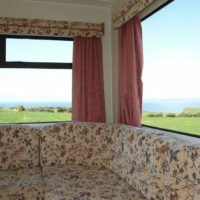 Short breaks of 3 nights minimum are available outside school holidays. Green = Available / Orange = Unavailable.